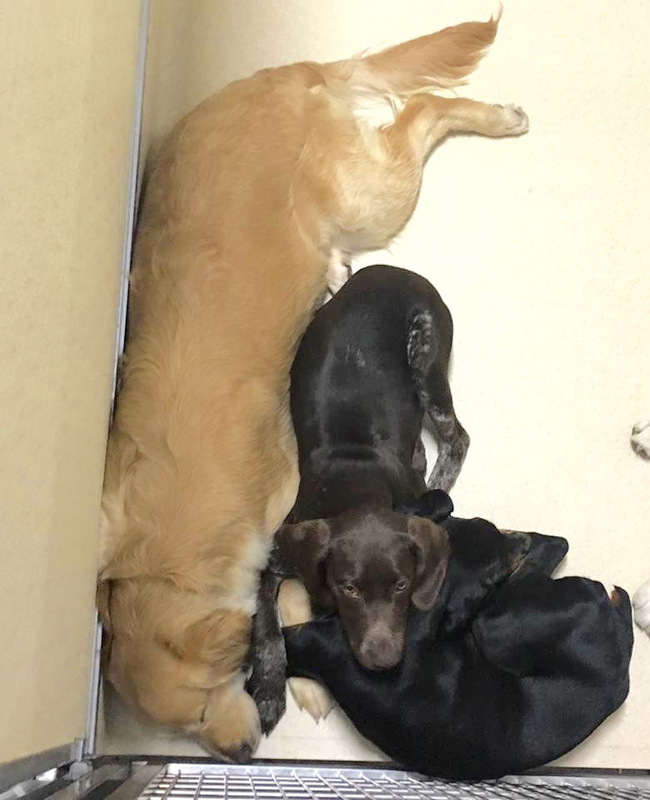 Dog Boarding in memphis, tn- daycare with a night of sleep! Leaving your dog with a stranger while you go out of town is scary. Taming the Wild’s professional and safe dog boarding facility will put you at ease. Your dog will have the time of his life playing with all of his friends, and you will know that he is being well taken care of. We will provide only the highest level of care for your furry friend. We recognize that dogs are more than just pets- they are a part of the family. Taming the Wild's East Memphis location has more than 8,000 square feet of space, housing the latest in animal care innovations and technologies. Our dog boarding staff is extensively trained in dog behavior by nationally-recognized, award-winning author and behaviorist Bryan Bailey. With a hospital-grade air filtration system, high-tech drainage and flushing systems, 12,000 square feet of indoor and outdoor play areas, a Taming the Wild training classroom, and luxury sleep suites, we've created the most exclusive, state-of-the-art dog boarding facility in the Mid-South area. Visit us to see for yourself what sets us apart from other dog boarding services in Memphis. You never have to make an appointment to tour our facility. Our staff loves dogs and makes sure that all of our overnight guests are well taken care of. We provide lots of attention, loving care and a little TLC to make sure that your pet feels at home. Your dog’s safety is our number one concern, so your pet’s health will be closely monitored, as well as all interactions with other dogs. Wolves are social predators that sleep together for the safety of their pack. As descendants of wolves, our dogs become stressed when they are isolated from us or other dogs during the night. At Taming the Wild, we lower the stress of the dogs in our care by allowing them to bunk with other compatible dogs overnight. We call it pack boarding, but the dogs call it daycare and a sleepover with friends! Dog Daycare is included in the boarding cost if your dog spends the night in our boarding facility and he or she is picked up before 10am the following day. Dog Daycare is a place where your dog can be a dog. He or she will spend all day playing with other dogs of like temperament, under the careful supervision of our extensively trained staff members. If you pick up your dog late (during the hours of 10am - 7pm from a previous night's boarding), you will be charged a $25 fee to cover daycare for that day. See our daycare packages for cost savings. If you have any questions regarding this policy, please contact us. If you want your dog to join the group play fun while boarding, please make sure you complete the group play application before drop off. As of July 2017, a special handling fee of $15 per night will be applied to dogs not able to participate in group play for behavioral reasons. All dogs must be current on their vaccinations, including Rabies, Distemper, Canine Influenza (H3N2/H3N8), and Bordetella. You must provide proof of current vaccinations before we can accept your dog into any of our kennel or daycare areas. We accept dogs of all ages, but puppies younger than 4 months will be kept separate from the general population. If your dog has a contagious illness, please do not bring them to Taming the Wild until you have veterinary clearance that he or she is no longer contagious. Pack boarding is standard at Taming the Wild, but private accommodations are also available. ** Please note: Our facility closed to the public on major holidays. Boarding reserved during major holiday periods (New Years, Spring Break, Memorial Day, July 4th, Labor Day, Fall Break, Thanksgiving, and Christmas) require a $45 deposit per dog to hold your reservation. Deposits are applied to the cost of boarding but are refunded only if a 72-hour notice of cancellation is received before your dog's stay.